Unfortunately, Spotting The Signs Became My Life – Being a COA is a thing! This incredible piece has been written anonymously and has such compassionate balance while still highlighting the need to look after oneself. It shows how the impacts of having an alcoholic parent are lifelong. If you feel affected by what you have read then Nacoa are there to help and support you. 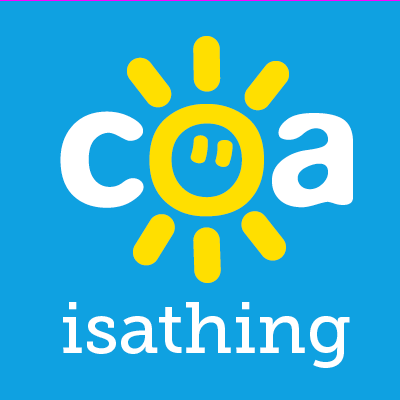 If you would like to share your story as a COA then please get in touch. My story… This has been a tough one to write as I feel like it only shows my Mum in a bad light but I can’t change the truth and feel better for consolidating everything into a small peice. I love my Mum but for as long as I can remember she’s been an alcoholic. She has a few different alcohol personalities, the aggressive one, the ‘woe is me’ one, the ‘speak about the past’ one and the worst one of all the ‘empty’ one. This is when you can stare right through her as if she is a ghost. It’s the most chilling thing I’ve ever seen. A suicide attempt by her when I was 13, left me counting all pills, measuring all drink bottles and searching the house, up until I left home. I often had to step up and look after my sister too since my Dad worked offshore. She would fall asleep smoking cigarettes. She beat me and my sister quite a few times for reasons beyond me, I remember her holding a cold cloth on my face to try and settle the swelling and clean up the blood. Numerous social occasions would end with her starting physical fights or her flailing around blatantly drunk cursing at friends and family. I wouldn’t go out much at weekends unless Dad was home so I could ‘watch’ her. After her first stint in rehab which lasted just over a week she left my Dad for a guy she met there, he raped, beat her and fed her drugs repeatedly. When that happened, mum and dad split for good. The guy got off with it, not enough evidence apparently. My Dad wasn’t an alcoholic, he wasn’t perfect either. He knew what was going on but just left me and my sister to deal with it most of the time. My drunk Mum decided to tell me that my Dad wasn’t my biological father a few years ago. Turns out the whole family knew but they didn’t know she was going to tell me! Cheers Mum! It’s one of the hardest things I’ve ever had to deal with especially since my real father doesn’t want to know me. My nan had an alcohol problem too so it was a difficult childhood but I don’t feel sorry for myself, it’s made me the person I am today and turns out I really need that strength to pull me through my current battles. That seems like a lot of bad stuff but that’s all accumulated over years and those are the main hurdles I will always reflect upon. I wasn’t neglected, I was always clean, encouraged to do well at school and always had what I thought I needed as a child. My sober Mum was a great Mum and I would live for the times she was drink free. She was my best friend and I felt like I could relax a little during these moments but once you start understanding the little ways that alcohol can change people, you are always on guard. I had the ability to tell almost instantly if she’d touched a drop. Unfortunately spotting these signs became my life. I understand why my Mum drinks, I totally get it and I don’t blame her! I feel sad that she has had the life she has and the trauma she has suffered is unfair but it’s taken me a long time to separate her problems from mine and start to look after myself. For too long I made excuses for her and it actually made me ill.
My Mum has tarred so many memories of my life with alcoholism but she doesn’t remember and if she does then she tells me it’s all in the past. I protected my younger sister so much when we were growing up that she doesn’t remember much of the bad stuff and because of this my sister continues to enable my Mum’s problems in so many ways. They actually enable each other, it’s not going to end well but that’s where I have to remind myself to step back. Some days I’ve actually wished my Mum dead and other days I can’t breathe for crying because I love her so much and wish things were different. It’s never been a healthy balanced relationship between us, it’s all or nothing. It’s been my choice to keep a distance from Mum in recent years and to be honest it’s done me the world of good. Her negativity used to influence my decisions alot. Frustratingly, my fiance and I are currently going through a 5 year battle with infertility and had a miscarriage last year. I do often ask ‘Why me?’ as all I want is a family. I sometimes feel like I’ve been cursed but I know I can get through it because of my journey so far. Seeing people with their Mum’s still stirs up all sorts of emotions, whether that’s seeing them having a coffee, visiting on a Sunday or even just speaking about things they’ve done with their Mum. I just wish I could turn those feelings of jealousy and hurt into being the best Mum to my own children and hopefully one day that will happen. Mum doesn’t drink as much as she used to but the damage is done and she’s been near death so many times. I have some music for her funeral planned and sometimes play the songs just to feel close to her. It’s weird but sometimes I just need to cry. Her partner is an alcoholic and they live together which is never a good recipe but she’s still alive and I know she is trying and longing for a better day one way or another. I am happily engaged, I have a lovely home and I’m a furmum to the sweetest dog. I have recently given up my nursing career because I took too much home with me and the stress of the job, combined with my own personal stress, was not good for my wellbeing, I am forever grateful that I have been lucky enough to leave nursing. I now have my own small business walking dogs and it’s wonderful. In my spare time I sing, play guitar, write songs, paint and walk (not all at the same time). I don’t have many friends because they tell me to talk then don’t listen. I find it hard to make friends, I expect to receive what I give in a friendship but it rarely works. To be honest, as an empath, I am happiest spending time alone. I’m very self conscious. I’m a perfectionist and I care far too much what people think but I have so much love in my heart, i’m just careful how I show it sometimes. I think COAs definitely stand out from the norm, I sometimes wish the world was a bit more understanding towards us. Previous Post I Am Strong, I Am Fearless.